Well it is definitely feeling like summer here on the Texas gulf coast. The girls have spent their fair share of time at the pool. We went to Galveston last weekend, but you can only spend some much time out in the heat. 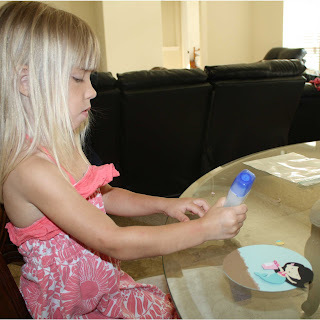 To keep them busy indoors we decided to do a "beachy" themed craft. 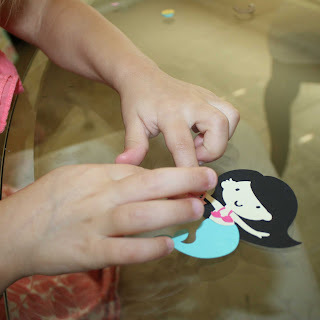 My oldest girls just love mermaids. 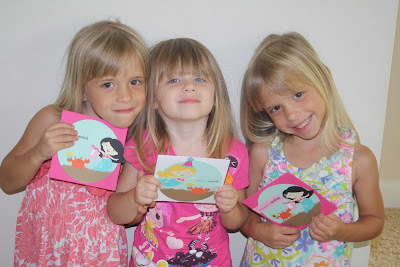 It is the theme of their new bathroom, and they always choose the mermaid or princess images for coloring or drawing. I was working on a mermaid card for my shop, and they decided they needed to make one too. In order to keep things easy and to help keep track of all the little pieces I precut everything and put all the pieces in ziplock bags. 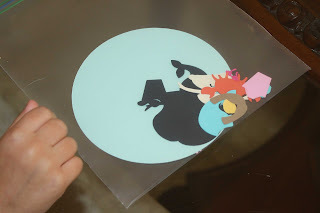 It definitely kept me from having to recut pieces once we started. You can even do this the night before or while the kids are napping (if you're lucky.) This keeps things organized and you from getting too frustrated. This one is more detailed than some of their other crafts, so we had to work one on one. I had to help with adding the glue to the tiniest pieces, but they were able do the majority of it. Here are the finished cards. Each one is slightly different based on the mermaid and colors they chose. Addy had a little problem stamping so we had to stamp on a separate piece and cover up the mistake. I think it made the wording stand out and looks nice. They are very ready for a friend to have a birthday, so they can use them. 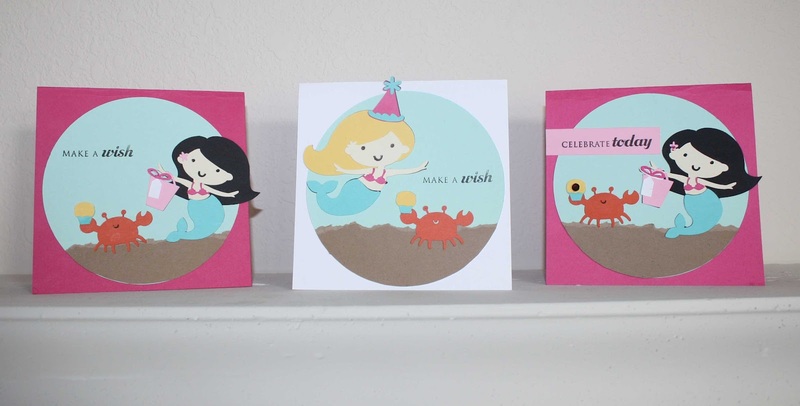 Here are some fabulous cards made by the kids of design team members over at our sponsor, Bugaboo Digistamps. Now it is your turn. 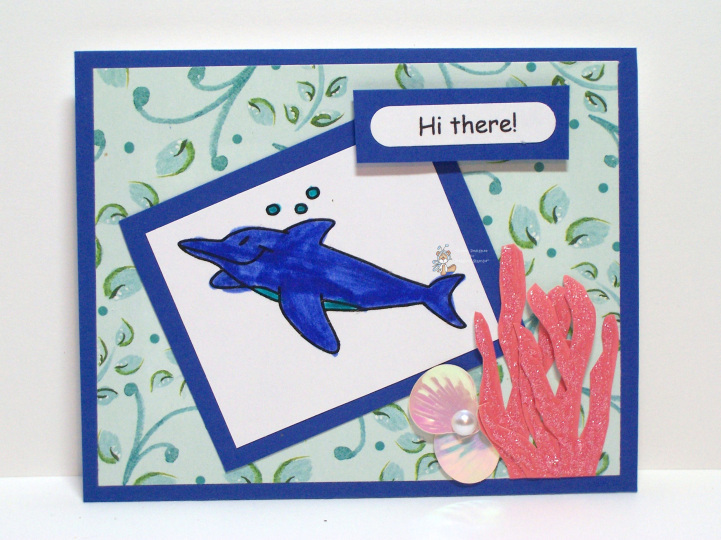 To enter our challenge get your kids to make any kind of "beachy" craft. Make a card or sign. Decorate some flip flops. Anything beach related will do. Link up and have some fun. I'd love to see what your kids come up with. 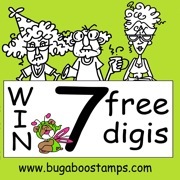 All entries will be entered into a random drawing for 7 free digital stamps of your choice from our generous sponsor Bugaboo Digi Stamps!